Our SaaS cloud-based Company Applicant Tracking System (CATS) is a software application that enables the electronic management of corporate recruitment needs. CATS includes a corporate career posting site, allowing companies to post jobs onto their own website and on job posting sites, such as Indeed and SimplyHired, as a way to attract candidates. CATS will capture and store your applicant data inside a database to allow for effective searching, filtering and routing of applicants (applicant workflow). The primary organizational benefit of an Applicant Tracking System is improved productivity and shorter time-to-hire. Electronic handling of the job requisition and candidate data allows significant opportunities to reduce inefficiencies through automated processes. The improved organization of candidate information allows for quicker processing and identification of top applicants. The end result is reduced cost and time per hire. 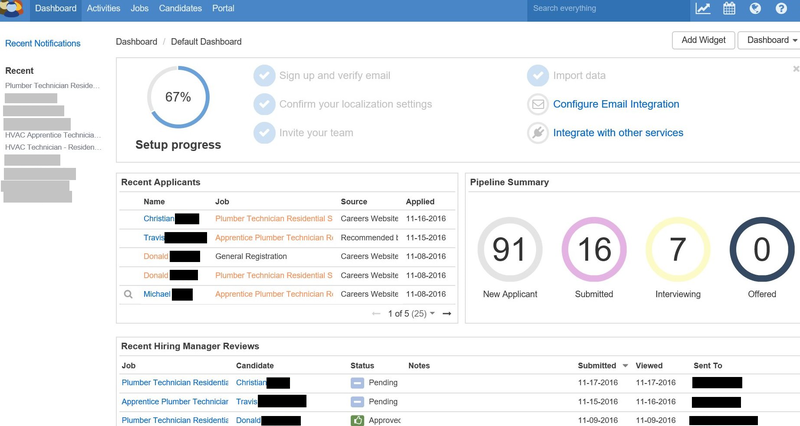 Our Full-Featured Applicant Management System is easy to learn and incredibly powerful. The system includes email integration, resume importation and parsing, job application collection, pre-qualifying screening question customization, detailed report generation, multiple job board publication, email blast triggering, workflow customization, data organization and resume inbox provisioning. Job posting and candidate sourcing fees on commercial job posting sites are not included. HR Partner’s full-featured CATS applicant management system is easy to learn, yet incredibly powerful. Trusted by full-time recruiters and internal hiring staff alike, the system allows you to work efficiently and hire faster. Customize your system with screening questionnaires. Create custom applications to pre-screen candidates. Ask your applicants the right questions to find the right fit—text fields, multiple choice, yes/no. 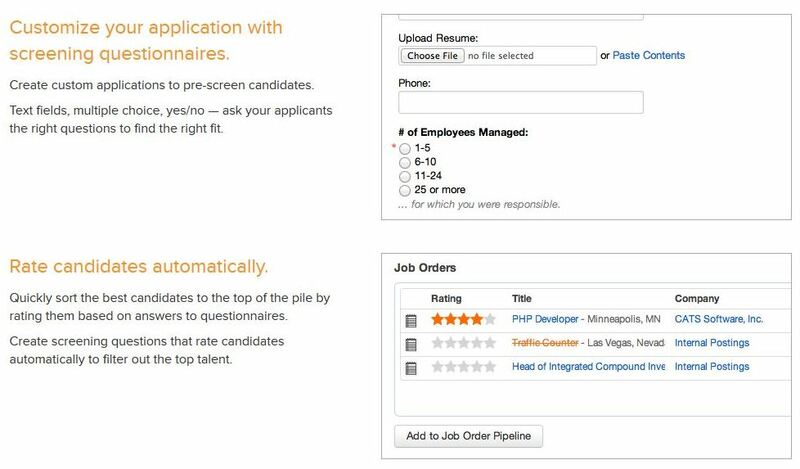 Quickly sort the best candidates to the top of the pile by rating them based on answers to questionnaires. Create screening questions that rate candidates automatically to filter in the applicants with the greatest potential of meeting your requirements. Integrate your job listings with your website. Keep your careers page updated automatically. Stay connected with Email Integration. Track your email communications automatically.